We’re delighted to introduce our annual Travel Edition Discovery Box, packed (almost) as full as your suitcase with scents from Atelier Cologne to Moschino (in a mini you have to see) via Issey Miyake, État Libre d’Orange, Annick Goutal and more. 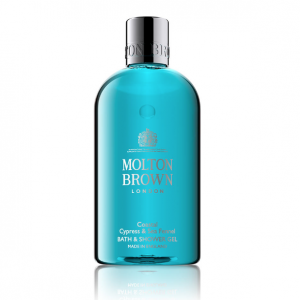 The travel-friendly ‘extras’ this time are Molton Brown’s brand new (shareable) Coastal Cypress and Sea Fennel Bath & Shower Gel, plus Philosophy’s Exfoliating Facial Wash.
Just click on the images below to learn more about each fragrance in this box. Australian sea fennel collides with salted cypress and an aromatic base of cardamom in this refreshing shower gel. The for her signature heart of musc is surrounded by roses, spices, and amber wood, to create a sparkling fragrance. This intriguing Eau de Parfum is for a woman who always leaves something to the imagination. 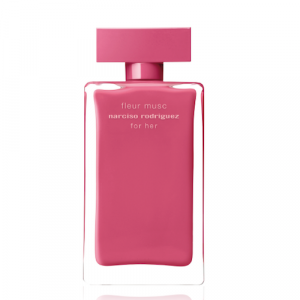 Enigmatic yet addictive, her coveted beauty replicates the elegant appeal of the Fleur Musc fragrance. Complementary to her gracefulness, the feminine floral notes of this daring Chypre scents her silhouette with heightened sensuality. 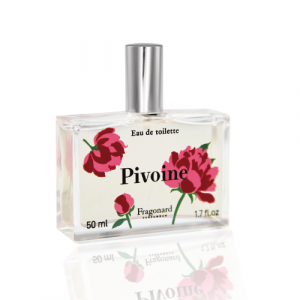 To open, strong and sensual sprinkles of pink pepper cut through the elegant floral core of rose and peony. As the spiciness simmers within the velveteen petals in the heart, this seductive twist sparks a warm embrace from the base of patchouli and amber. An explosive combination that glows every bit as brightly as her natural beauty. Cool skin still wet from a skinny dip in the crystal clear waters of a lake being gently warmed by the rays of the sun, nothing but birdsong and the buzz of bees to distract the calm – this is a blissful moment you’ll want to sink into, time and time again. Discover the garden of life. Inspired by the fragrance of Weleda's Evening Primrose skincare range, Onagre lures you into the delicate fresh, floral scent of evening primrose flowers as they open at dusk. A subtly nuanced fragrance, interpreting the floral-fresh scent of blooming evening primrose flowers. At the heart of the fragrance, green-floral, exotic-sensual nuances of magnolia set powerful accents, while cardamom confers freshness to the top note. Soft, balsamic-woody notes of precious sandalwood give the composition depth and leave the skin with a mysterious, powdery soft scent. Let your unique radiance shine. You or Someone Like You is a welcoming fragrance: neither off-putting nor strange. It is a contemporary creation built around timeless materials. It embodies the woman of LA — someone like Anne Rosenbaum: cool and crisp; once foreign but now indigenous; very exposed to Hollywood’s silver screen dreams yet untouched by its materialistic machinery. Anne finds comfort in literature, and the garden of her home which nestles in the hills overlooking downtown LA. 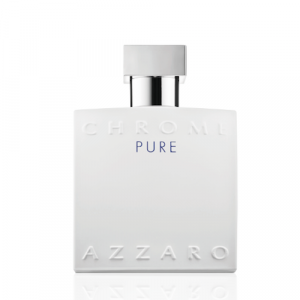 Invigorating the senses with its fresh, inviting appeal, it's the most feel-good of fragrances. Cédrat Envirant, like all of Atelier's Cologne Absolues, has a 15% concentration, with an equally intoxicating composition of Moroccan cédrat, Mexican lime, Calabrian bergamot, Chinese mint, Egyptian basil, Macedonian juniper, Brazilian tonka bean, Haitian vetiver, and Philippine elemi. Another deliciously modern, mouth-watering twist on the classic Cologne. This juicy cocktail will delight fans of Atelier's Orange Sanguine. A subtle and gentle floral fragrance which distils fruity head notes of currant, rhubarb and seringa, on a heart of three different peonies (pink, red and white) finally resting on bottom notes of iris, musk and amber. Explore this exciting collection, at home or away, with a set of our beautifully-presented ‘Smelling Notes’. PLUS! Whether it’s a weekend away or a well earned summer holiday, scrub up with our gorgeous extras: Molton Brown’s refreshing and shareable Coastal Cypress and Sea Fennel Bath & Shower Gel and Philosophy’s Exfoloiating Facial Wash. 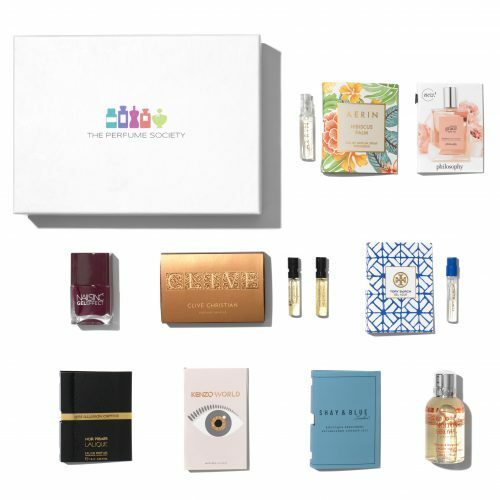 The Travel Edition Discovery Box is priced £15 + p&p* to VIP Subscribers/£19 + p&p* to non-subscribers – be sure to log in to your account to take advantage of the special VIP Subscriber price. * Please note, postage and packaging is charged at £2.50 (alas we can’t ship to Ireland or overseas, because of ‘hazardous goods’ restrictions. And yes, we’re as frustrated about it as you are).